Auto sanitising units provide an effective all-round cleaning and sanitising solution that is suitable for use in all types of urinal, making them a washroom urinal essential. 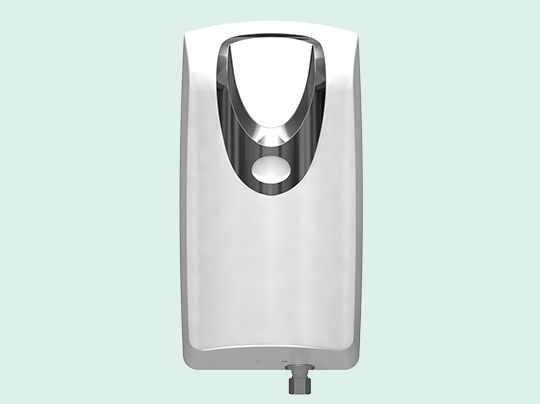 As well as keeping urinals sanitised, clean and free from odours, auto sanitisers can prevent the build up of lime scale and uric scale; and in turn reduce the overall cost of cleaning and maintaining your washrooms. They also help present a professional image to your visitors and staff. Different designs of the units are available to suit your specific requirements and to be in-keeping with your washrooms. Regardless of design, all our auto sanitisers perform the same essential function of both fighting bacteria and minimising the uric scale within your urinals. This is achieved by delivering a pre-programmed dose of chemical that achieves both functions simultaneously. One of the main advantages of using auto sanitisers is that they require minimal maintenance by your staff. In the first instance, our specialist team will install your auto sanitising units in the optimal positions to achieve the best possible results. They will then visit monthly to ensure the units are fully operational and to change the refill if necessary. Your local auto sanitising unit provider. We provide our full range of auto sanitisers across the whole of North Yorkshire, East Yorkshire, West Yorkshire and South Yorkshire, operating out of our locally based depots situated in Hull and Thirsk. Our auto sanitisers in North Lincolnshire include our full offering and covers locations such as Scunthorpe, Grimsby, Brigg, Barton-upon-Humber and all the surrounding towns and villages across the Humber region. The auto sanitisers detailed are available to customers located in the North East region, including cities such as Middlesbrough, Durham, Sunderland, Newcastle, Gateshead and all of the nearby towns and villages.